We’re slowly starting to book summer gigs…mark your calendars! Meanwhile, come celebrate St. Patrick’s Day with us at Roxbury Tavern and try some of their delectable Irish stew! SUNDAY, FEBRUARY 11: Come on out for an afternoon of music and fun! It’s that time of year!!! SOLD OUT! If you don’t have tickets, you can’t come out. 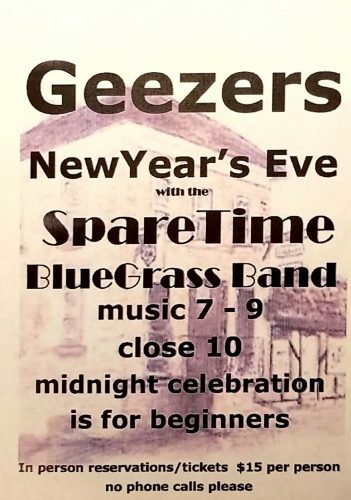 The SpareTime Large Band with Scott on Dobro and Paul on fiddle. How lucky are we to play with a backdrop like this?! 2017 United Way Fundraiser was a success! The 2017 United Way Bluegrass Fundraiser had the largest audience yet! Thanks to all of the bands and The Barrymore for hosting such a great event. 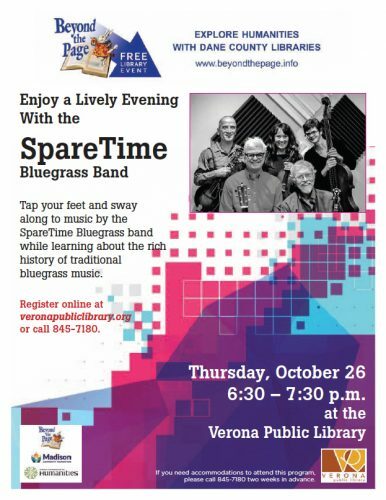 Life has been wonderful for the multinational conglomerate that is The Sparetime Bluegrass Band. We’ve been breaking records wherever we’ve played. The CDs have all gone platinum (we gold plate everything in our lives), and we only play the best instruments……We’re serious. 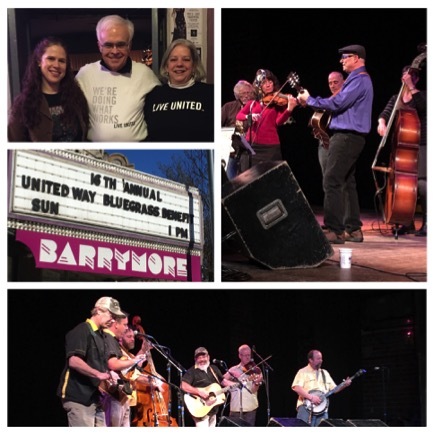 On Sunday February 12th we will be taking part in United Way Bluegrass Benefit at the Barrymore Theater in Madison. We were, of course, the first band to do it way back when. We were actually the only band at the first one. The audience at that first one was enormous…you probably remember newspaper stories about gridlock after the event. This year the crowd estimate is about 80,000 to 100,000, making it the largest benefit concert anywhere in the Mid-West. We’re happy, in our own large way, to be a part of this. Actually there is a benefit concert at the Barrymore on February 12. We are a part of it. We did do the first one and were the only band. We are always proud to be a part of the concert. The event is a wonderful family friendly concert. 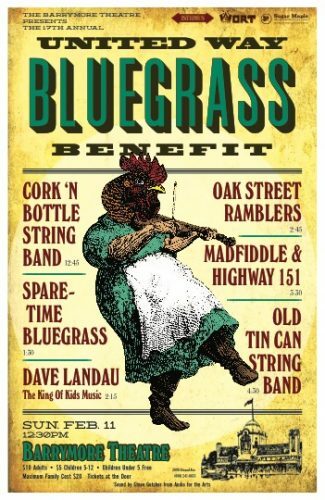 It gives the kids a chance to see Dave Landau in concert and a chance for everyone to see strong local bluegrass musicians get together to assist the United Way. The doors open at Noon and events run until about 6:00 p.m. We would love to have you all there. On June 9th SpareTime played the newly reopened Memorial Union Terrace. The weather was great, as were the sound people from the Union. 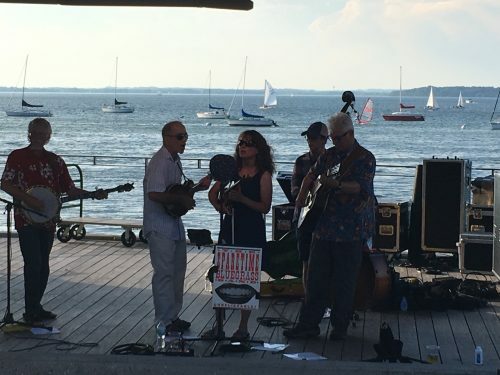 There is nothing like playing on a stage, the backdrop of which, is Lake Mendota. The Terrace has been redone and better than ever. Also present were a number of children who seemed to be dancing the afternoon away.